The Rambler® 18 oz. 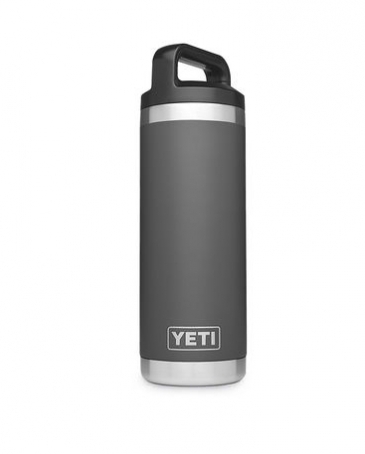 Bottle is a necessary addition to your day hikes, kayak trips, and daily commutes. This tough bottle is double-wall vacuum insulated to keep your water cold (or coffee hot) until the last sip and comes with a TripleHaul Cap. Separate your Rambler from the herd - Rambler Bottles are available in stainless and DuraCoat Colors that won't fade, peel, or crack.